 Crown windows have dealt with clients from all walks of life, some are financially very comfortable and others aren’t so fortunate. During the winter months, keeping the house warm can prove financially challenging for some. So i’ve come up with some general tips that will hopefully help some of you that are cautious about putting the heating on continuous 24/7, most of the tips don’t cost much at all and there’s a few that you may want to consult the boss of the house and see if it’s in the budget. So how many times have we heard as house owners that Double Glazing and insulation is key to keeping your house warmer ? If your windows are only single glazed it is more than likely you will be losing up to 20% heat loss through them, this is because glass is a good conductor of heat where air is not. So by having double glazing you are trapping the air between two sheets of glass, then creating a layer of protection between the hot air inside and the cold air outside resulting in neither being transferred through the window. However if your budget cant stretch for Double Glazing yet and you need a quick fix in the meantime, you can purchase a film that can be applied to the window creating a similar effect, foam strips are also easily found and can be applied around the window seals to cover any exposed gaps that might be there. An obvious one maybe but then again maybe not ! By moving that sofa covering up that awkwardly placed radiator you are allowing the heat to radiate the room – the only question now is where to put the furniture that was once there ! If your radiator is placed on an external wall tin foil can work to help reflect the heat back into the room opposed to seeping out through the wall. The phrase parents have yelled over the years “Were you born in a barn” refers to this heat saving tactic. Not just windows but doors can account for a significant amount of heat loss, this can be prevented through (as the heading suggests) shutting doors to prevent cold air moving into the rest of the house and allows heat generated to be contained. When have we known massive victorian manor houses to be all warm and cosy without the home owner stacking up thousands of pounds on heating bills ? It is far easier to generate heat within a smaller area opposed to large rooms. So if you happen to live in a manor why not stick to using the smaller rooms that generate heat quickly, this saves you money too. If you are thinking of cheap ways to stay warm this winter here is a simple and cheap way to keeping your bank balance healthy at the same time. Instead of walking to that thermostat – grab a blanket and a pair of warm slippers. Layering up is a good way to stay warm with tights or long-johns. Lighting candles are a relatively cheap way of creating warmth within a room. Make sure you do not leave them unattended of course, they will produce a good amount of heat although not as much as a heater or a fireplace but still a good little substitute if on a budget. Attics tend to be very draughty and heat escapes easily through warm air rising and the cold air sinking. Replacing old or thinning insulation can seem expensive but there are cheaper materials you can use DIY style such as rolls of foam, mineral wool, glass fibre and recycled paper products. Be careful when doing this yourself as some materials are irritants and shouldn’t be inhaled so wear protective clothing, a face mask and maybe some googles. Also leave gaps around the eaves so to allow for ventilation preventing any build up of condensation. (These tips are from the NEF). Heat from sunlight is free so why not take advantage of that and save on your heating bills. Expose your house to the sun so any obstructions such as trees/plants and sheds on the sunny side should be repositioned away from the house if possible also any items leaning against the wall should be removed. At night they can be put back again to help with additional insulation if needed. Just like windows, doors can make rooms draughty so seal up the edges around and underneath. You can buy door sweeps or weather stripping to attach to the door, or for a quick fix make a draft dodger or wedge a towel at the bottom of the door. Heavy set curtains are good for blocking out any draughts coming in through the window so can be closed at night for additional insulation and open during the day to let sunlight heat the room. Another idea may be to pop up some thin clear shower curtains that receive the heat of the sun during the day which will also block out the cold air coming in. Conservatories are generally cold in the winter months and quite the opposite in the summer. They are considered as outhouses and sheds as the are attached to the external walls of the house. Again curtains can be used to help block out draughts, also large rugs on the floor can help from heat escaping. However most home owners tend to not use this space throughout winter and keep the door shut so to not make the rest of the house colder. Because the conservatory is protecting the house to a certain degree you will often find that your house will be warmer as long as you leave the door connecting your house to the conservatory closed. This was one of the main reasons why ‘Brenda Johnson’ purchased a conservatory in Milton Keynes in August 2013, so she could prepare for the winter months approaching and then reap the benefits in spring/summer 2014. 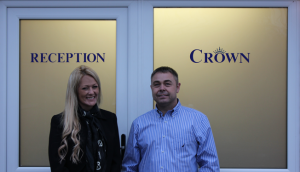 Watch her 1 minute testimonial video on the right to see why she chose Crown. If you have any questions on keeping your house warmer or would like a consultation on how we can improve your home, please feel free to Contact Us by email or Call our main office: 01908 507 778.